Police are investigating the death of a woman whose body was found in a garage. 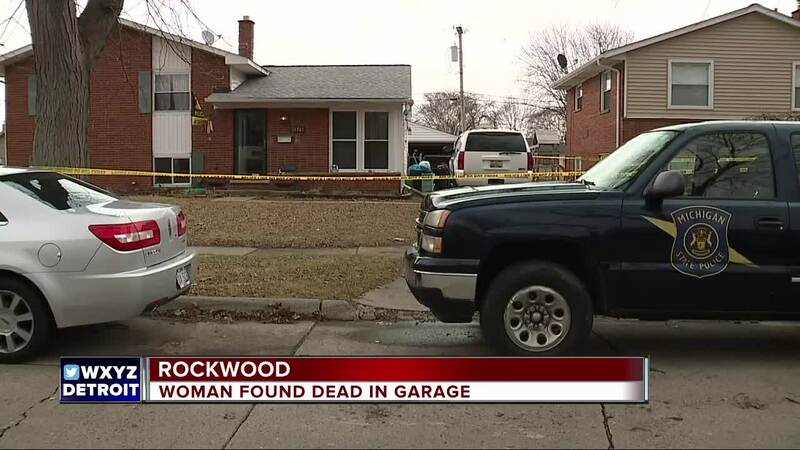 ROCKWOOD, Mich. (WXYZ) — Tonya Mink had lived in her Hazel Street home in Rockwood for years, but early Tuesday morning, neighbors heard her live-in boyfriend yelling "Oh my God, no!" Rockwood Police say Mink's boyfriend also called 911 around 5 a.m. to report her unresponsive in the detached garage. Police arrived and found Mink dead in the garage. Some elements found at the scene are leading police to try to find out whether a crime took place. So, for now, they are calling Mink's death "suspicious" and investigating it as a homicide, according to Rockwood Police Chief Randy Krause. Investigators with the Michigan State Police Crime Lab gathered potential evidence from the garage and from inside the home. Police say they have been to the house before for family trouble calls. Mink's boyfriend was taken to the police station to be interviewed by detectives. Chief Krause says the boyfriend is cooperating. When asked if there are signs of trauma to Mink's body, Krause said he could not comment on specifics of the investigation. Much of the police investigation will be based on the medical examiner's report on cause and manner of death.